Moruya library’s Donna Lawrence, Linda Heald and Christine Elwes. Photos: ESC. 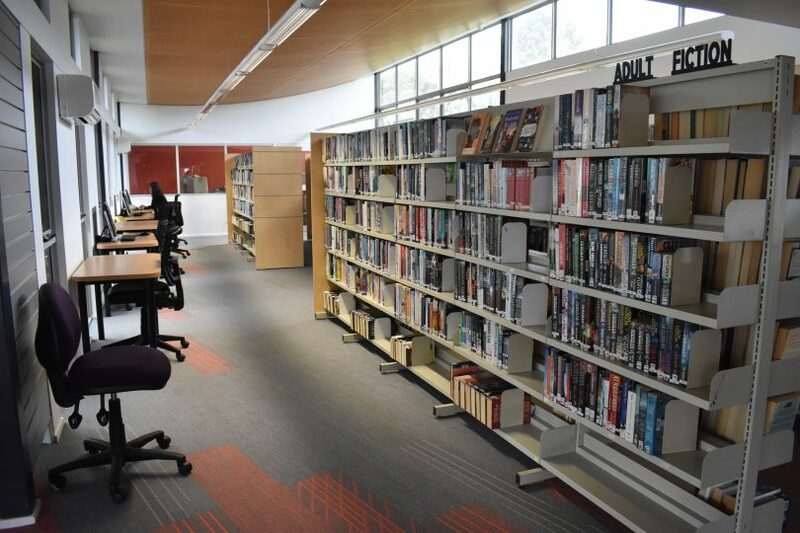 The finishing touches are being made to the new Moruya Library with the service to go seven days from the end of the month. “Our patrons will love the spacious feel. 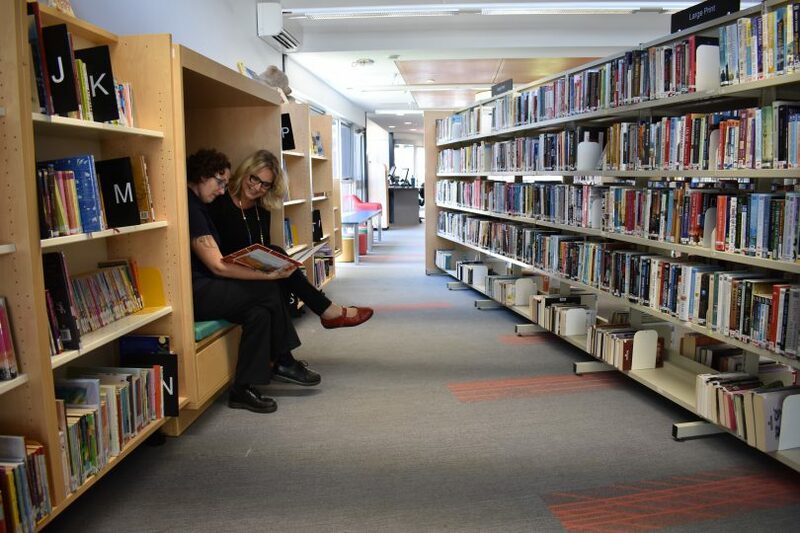 We’ve improved the layout and knocked out the back wall to connect the library with the new Basil Sellers Exhibition Centre, with views over the golf course beyond,” says Eurobodalla Libraries Manager, Linda Heald. 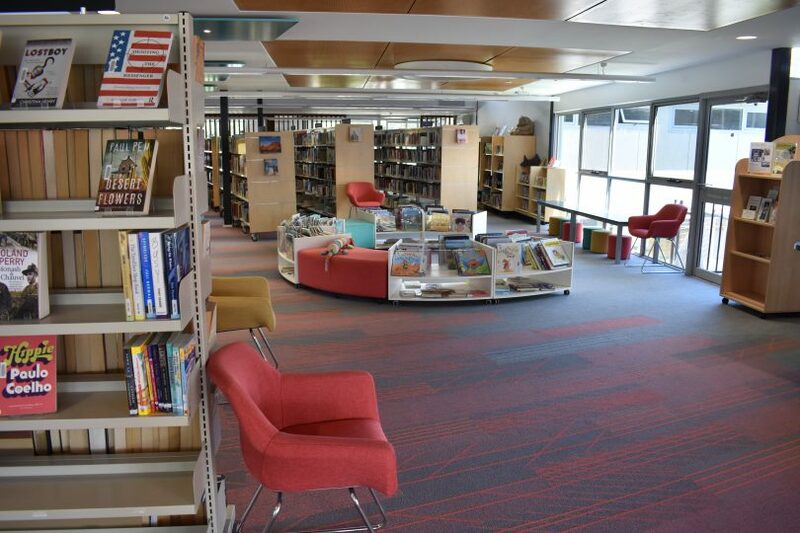 The revamped and expanded library also features a fresh new look in the children’s area with kid-sized furnishings, additional space for art exhibitions, an accessible desk and workstation, and improved areas for staff. Ms Heald says the layout of the non-fiction collection has been completely overhauled, making browsing a breeze. “All the books on a particular subject are now in one spot, shelved in colour-coded zones,” she says. 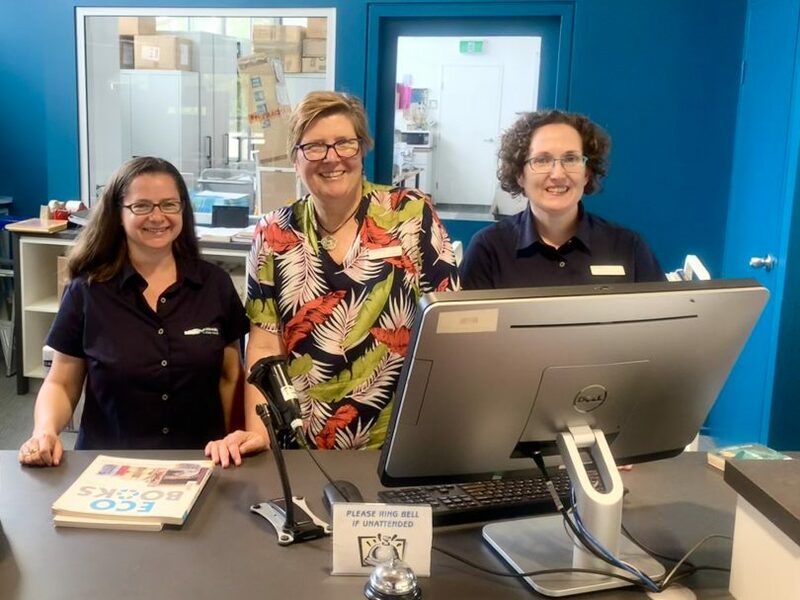 From Saturday, February 23, Moruya Library will be open seven days – 10 am to 5 pm Monday to Friday, and 10 am to 4 pm on Saturday and Sunday. Meantime, all Eurobodalla libraries are taking on the feel of a mechanics workshop this month. Residents can rev-up their inner grease monkey with a series of hands-on car-maintenance sessions. Participants will learn basic skills from checking oil and water levels, replacing windscreen wipers, and changing a tyre and checking tyre pressure. The workshops kick off at the Batemans Bay Library on Saturday, February 9, with Moruya and Narooma to follow on Saturday the 16th and 23rd. These free events will be led by Jade Cowan from AMH Automotive, and run from 10 am to 11:30 am at each library. Bookings are essential. For more information on Eurobodalla library programs check council’s website. Hurrah for the revamped library and hurrah for all the hard-working librarians who serve the community so well!